View basket “Settlement Payment for MIDDLETOWN Intermediate: Golden Alchemy 28th June – 1st July 2019” has been added to your basket. 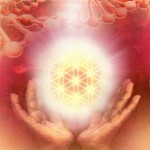 Course prerequisite: Completion of Intermediate: Golden Alchemy. Times: 10am – 5.30pm each day. To book this course: Sign up for this course with a booking payment of £110.00 and your place is secured. Full course joining details will be emailed from: clare@metatronic-life.com The final settlement payment of £440 will be due 14 days before the course commences. Course Organiser: Louise Page. Email: holisticlouise@btinternet.com for any practical details. Metatronic work enables you to find the parts of yourself that have hidden themselves away because they feel judged, and to clear them. This makes space for many hidden parts of yourself to emerge in clarity and potency. The clearer we become, the greater the inner and outer harmony in our lives: relationships, health and life purpose flow smoothly into place. Shadow work clears the imprint of your deepest and most concealed wounds to reveal their hidden blessings – and it enables you to embrace your unseen light. The family is the microcosm of the macrocosm; it’s the practice ground for life; it’s the place where we focus our deepest resentments and our greatest loves. Moreover, our bloodlines hold the legacy of our DNA: the beliefs and experiences of our ancestors are handed down to us, wholesale, through our genetic inheritance – families and whole countries pass down our talentsand strengths, of course; and also our weaknesses, our conflicts, our resentments and our griefs, along with hosts of physical vulnerabilities. All of these lie hidden away in our genes, calling the shots about our health, our sense of direction and purpose, our deepest beliefs about ourselves – until we come to see that they can all be changed.